Subject description: sailing drawing tool with ANIMATION FEATURE! 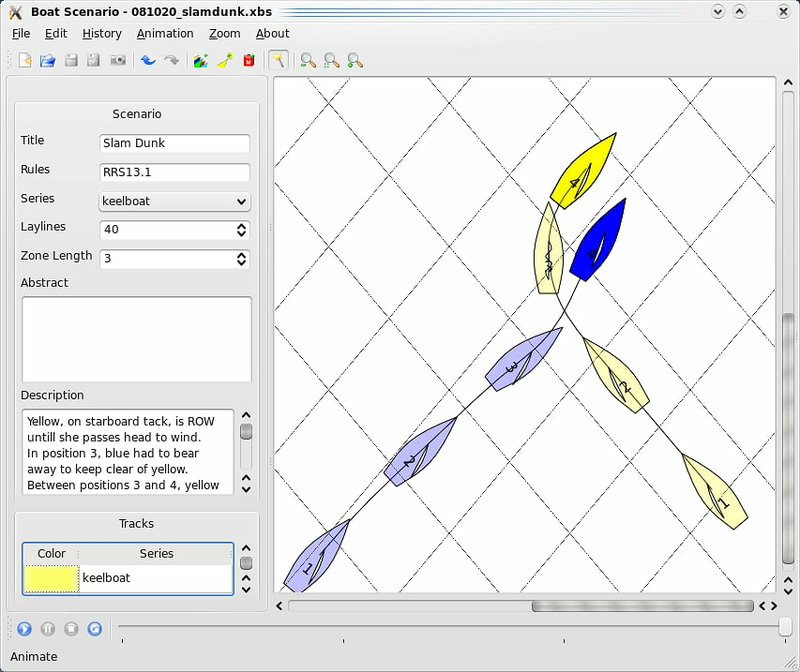 Boat Scenario is a sailing drawing tool. It is your ideal companion for training sessions, rule learning, strategy explanations and more. With it you will be able to make a presentation of a situation, describing the facts as you represent the action.